As fun as fun gets – face lights for the masses. There’s nothing cooler than flashing sunglasses. Blinking shades are great for girls or for boys. These aren’t really for sun. They’re only toys. These glasses fit most in one comfortable size. Freak out your friends with lights from your eyes. They blink or glow steadily. Each one’s installed readily with three AG13 batteries and packed individually. 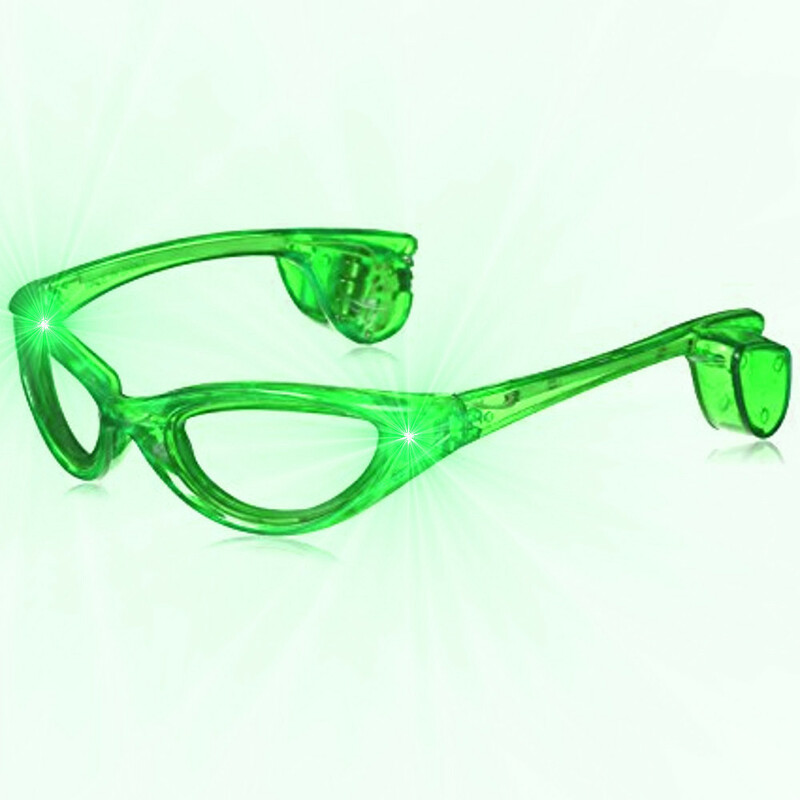 The color is green and this information needs to be seen: Our light up sunglasses are great for summer events at night or indoor parties during the day. These are similar to LED goggles, but they don’t have an elastic fitting. Electroluminescent sun glasses are the old style and they’ve been replaced by these lower priced flashing sun glasses that use LED’s. Light up flashing and blinking LED Sunglasses do not protect the eyes from the sun and are intended for novelty purposes only. 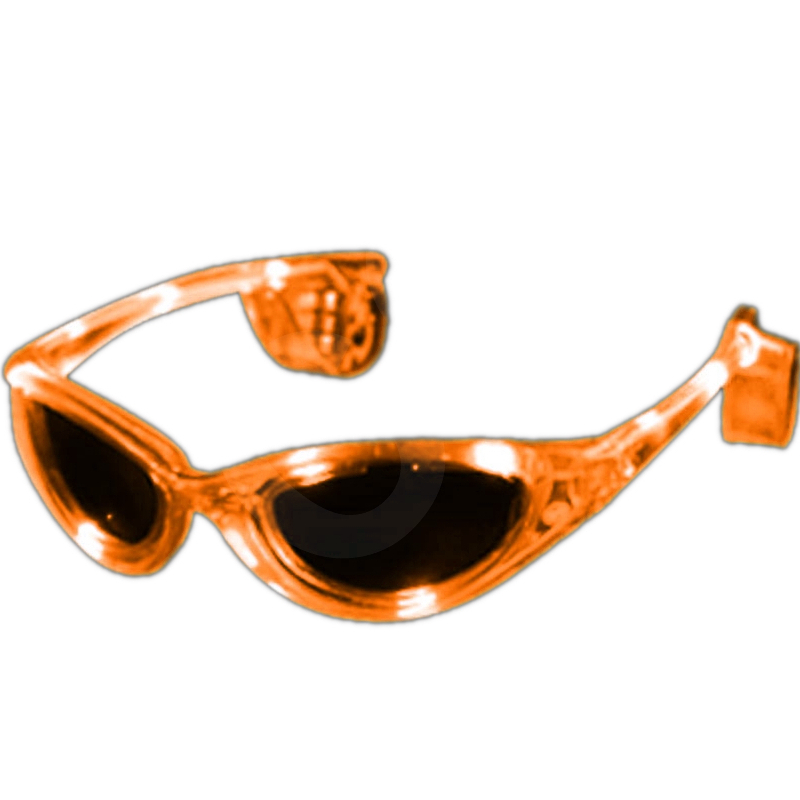 They do not protect the eyes from UVA, UVV, or any other type of UV Rays. Size: One size fits most. LED Colors: 10 Green Sunglasses Colors: Red Batteries: Includes 3 CR2032 Batteries.